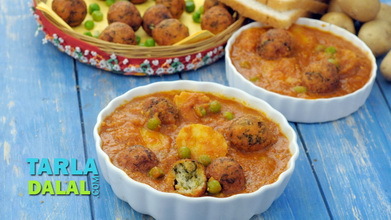 Kachhe Kele Ke Kofte Video. 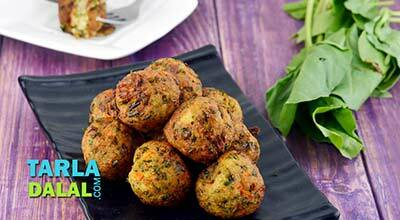 Raw banana is combined with a few basic spices and deep-fried to make wonderfully tasty kofta. 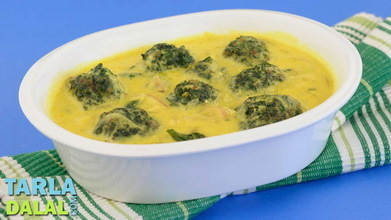 These are eaten with an equally unusual gravy that is a little sweet as it makes use of honey. A must try for everyone! 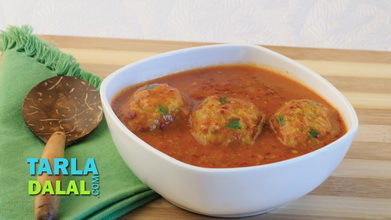 Divide the mixture into 12 equal portions and shape each portion into a round koftas. 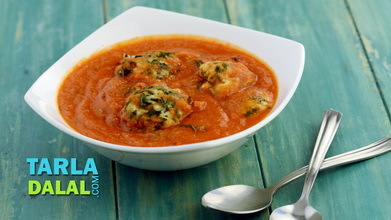 Heat the oil in a kadhai and deep-fry few koftas till golden brown. Drain on absorbent paper and keep aside. 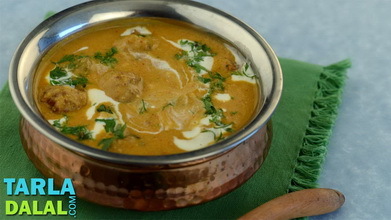 Heat the ghee in a kadhai, and add the cardamoms, cloves and cinnamon cinnamon and sauté for a few seconds. When the spices crackle, add the onions and sauté on a medium flame for 2 to 3 minutes or till they turn golden brown. Add the chilli powder and salt and mix well and cook on a medium flame for few seconds. Add the tomato pulp, mix well and cook on a medium flame for 3 to 4 minutes. Add the cream and milk, mix well and cook on a medium flame for 2 to 3 minutes. Remove from the flame, add the sugar and mix well. Keep aside. 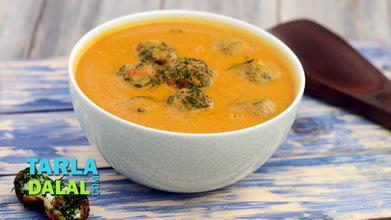 Arrange all the koftas on a serving dish, pour the prepared gravy on top and serve immediately garnished with fresh cream.